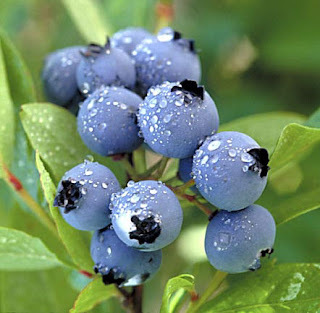 Early spring is a great time to “go green” in the kitchen. As our thoughts turn to gardening and farming (Earth Day is April 22), it’s time to turn over a new, green leaf. In early spring, farm markets will put out their first crops of the season – peas, asparagus and early greens. The Culinary Institute of America’s Thai Fresh Pea Soup uses fresh peas and green curry to create a subtle twist on an old spring classic. It can be prepared in under half an hour so you'll have plenty of time to get outside and work in the garden. The CIA has a video demonstration of this recipe. Add about 1/2 cup of the broth to a soup pot and bring to a simmer over medium heat. Add the onions, garlic, and curry paste. Sauté, stirring frequently, until the onions are softened and translucent, about 5 minutes. Add the remaining broth to the pot and bring to a boil. Add the peas, cover the soup, and simmer over low heat for 10 minutes. Remove the pot from the heat and let the soup cool for at least 10 minutes before pureeing with a handheld blender. Strain the soup through a sieve and reserve the liquid if you are using a countertop blender or food processor. Add the solids to the blender jar or food processor bowl; do not overfill. Add a little of the liquid, replace the cover (without the vent from the lid or feed tube), and puree until smooth. Add more liquid if necessary to help puree the solids. Return the soup to a simmer over low heat. Season to taste with salt and pepper. 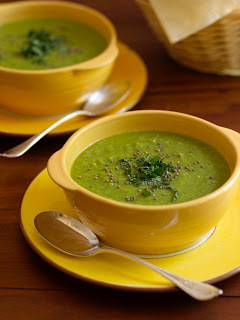 Serve the soup in heated bowls, garnished with the toasted mustard seeds and chopped mint. Nutrition analysis per 11-ounce serving: 140 calories, 8g protein, 26g carbohydrate, 1g fat, 860mg sodium, 0mg cholesterol, 8g fiber. 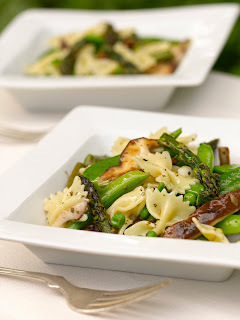 The Asparagus with Shiitakes, Bowtie Pasta, and Spring Peas uses three different varieties of peas – sugar snap peas, snow peas, and green peas – for a bright, spring flavor. The vegetables are cooked minimally to help retain their bright green flavor and natural sweetness. Bring a medium saucepan of salted water to a boil to blanch the peas and a large pot of salted water to boil to cook the pasta. Preheat the broiler. Toss the asparagus with the oil and 1 teaspoon of salt. Place in a baking pan under the broiler, turning occasionally, until tender and lightly browned, about 8 minutes. Slice the asparagus on a diagonal into 1-inch pieces and reserve. Cook the pasta in boiling water until tender to the bite, about 10 to 12 minutes. Drain well, reserving some of the pasta water to adjust the consistency of the dish. Heat the butter in a sauté pan until it begins to turn brown. Add the shiitakes and shallots and sauté until they are light brown, 2 to 3 minutes. Add the asparagus, green peas, snow peas, sugar snap peas, marjoram, 1 teaspoon salt, and a pinch of pepper. Sauté, stirring or tossing, until the vegetables are thoroughly heated, about 3 minutes. Add the hot pasta and toss the pasta with the cooked vegetables and scallions until evenly blended. Add a little of the pasta water to moisten the dish if necessary. Serve on heated plates and top with shaved Parmesan. Nutrition analysis per 12-ounce serving: 370 calories, 23g protein, 52g carbohydrate, 9g fat, 430mg sodium, 5mg cholesterol, 14g fiber. These and other green recipes can be found in The Culinary Institute of America's Vegetables Cookbook (2007 Lebhar-Friedman), which is available for purchase at bookstores nationwide or online. Southern cuisine has always been considered a bit of a novelty above the Ohio River. Folks in New York City (can't you just hear the Pace picante commercial?) will get their chance to see a New Orleans powerhouse chef, Susan Spicer, next week. On April 8, the South visits New York City. Meet Elizabeth Pearce, Southern Food and Beverage Museum senior curator, at the Astor from 6 to 8 p.m. Spicer, who owns and is the culinary vision for teh French Quarter fine dining restaurants Bayona and Herbsaint, will be on hand as well. Speaking of New Orleans, on Saturday, April 19, the International Association of Culinary Professionals is holding "Gumbo Giveback" - a fundraiser for the Crescent City Farmer's Market in New Orleans. This event is open to the public. For more information visit IACP. As part of the April 2008 launch of a new line, Hershey’s Bliss chocolate, Hershey is trying to line up 10,000 chocolate parties in homes across America over the weekend of April 25. The "party" launch has become vogue for television shows, home appliance lines and such, so chocolate should be a sweet twist. The bliss-themed launch parties will introduce guests to Hershey’s Bliss chocolate, which is available in Milk Chocolate, Dark Chocolate and Milk Chocolate Meltaway. Hershey, known for its general commercial chocolate products, is trying to use Bliss as an inroad into the increasingly glam world of high-end chocolate. According to the company, "Hershey’s Bliss chocolate is specially crafted to ensure that every detail contributes to the overall chocolate experience. The slight domed shape of the individual square fits the mouth perfectly, allowing the chocolate to melt evenly, cascading rich, creamy chocolate notes across the tongue. The finish is satisfying and sophisticated, a lasting reward." The weekend of April 25, Hershey’s Bliss will be the guest of honor at 10,000 chocolate launch parties nationwide. Targeting female chocolate lovers, the parties will celebrate everyday bliss by gathering with friends and family to share personal stories of bliss while sampling Hershey's newest indulgence. Sign up and registration are going on now to host a Hershey’s Bliss Chocolate Party. I use it on chicken, pork, beef, potatoes and pasta. It’s wonderful on everything I’ve tried it with so far. It makes a good bit so save a large shaker type container to store it in. Mix all ingredients thoroughly. Store in airtight container. Mix with olive oil to use for Bruschetta. 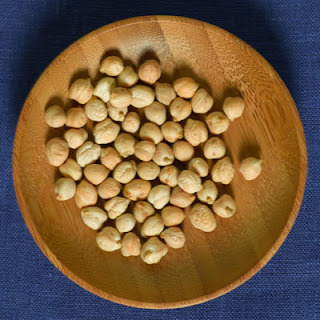 As part of our photo illustration on dried beans this past week, I corralled a pack of dried chickpeas. I've used the canned variety in hummus, but I've never made anything from dried chickpeas. Never seen 'em? They're the knobby, mimics of macadamia nuts (pic to the right; Thanks, Whole Foods) and are popular in Mediterranean cuisine. I read that they had to soak for about 16 hours; I let them go about 20. I put them in the Crock-pot (5 quart) with 2 chicken boullion cubes, an onion, two carrots (diced) a rib or two of celery, a few slices of bacon, a tablespoon of minced garlic. For seasoning, I went Mediterranean: a little basil, some oregano. A little crushed red pepper and black pepper for bite. I then topped the crock with water, set it on High for a few hours, then turned it to Low before going to bed. THE NEXT AFTERNOON: The beans were soft, but still were their original shape. Now, I'm used to cooking red beans, pinto beans, black-eyed peas and black beans -- even limas will cook down and make a little "gravy" after cooking so long. Not chickpeas. There was no thickening in the broth, and you could have taken tweezers and pulled out every bean. The broth needed some salt (note that I hadn't put any in yet), but the overall flavor was pretty good. I could not, however, reconcile myself to eating a broth-based soup with whole chickpeas. Don't know why, but it wasn't going to work for me or the family. Out comes the stick/immersion blender. They pureed into a wonderfully smooth soup that was full-bodied, had nice flavor and was a peanut-butter color. Success. Of course, it was too hot for a ton of soup last night, so I stuck most of it in an empty and sanitized plastic distilled water jug and froze it. Beat egg; stir in milk and oil. Sift together flour and sugar and stir in egg mixture. Add berries. Bake at 400° for 20 to 25 minutes. This is a recipe from an old (I say old… it’s over 20 years old) church recipe book. The recipe is by a friend of mine that is a wonderful cook that inspired me to be a somewhat better cook. She took care of us at my former work place and brought muffins for many years. The Southern Food and Beverage Museum will move into its new home at the Riverwalk Marketplace in New Orleans, with a grand opening gala on Sat., June 7. The site is within easy reach of the French Quarter. Rivewalk Marketplace is a few blocks south of the Quarter. Take the Riverfront Streetcar line to get to and from the historic district. The museum, which was founded in 2004, is dedicated to the discovery, understanding and celebration of the food, drink and related culture of the South. Since its inception, the museum has contributed to national culinary scholarship by launching the Menu Project, a collection of menus from throughout the South and menus from restaurants serving southern food throughout the U.S. and the world, and through its exhibits, "Toast of New Orleans," "Tout de Sweet - All about Sugar," and "Restaurant/Restorative." "The South offers this country's best defined food culture," says Dickie Brennan, the newly elected chairman of the museum and NOLA restaurateur. "We need a museum to pay homage to our rich food and beverage traditions. Celebrating these traditions in New Orleans just makes sense, and SoFAB will be a great addition to the museums in this city." Opening exhibits include "Laissez Faire-Savoir Fare," the cuisine of Louisiana and New Orleans, "Eating in the White House - America's Food," featuring the food in the White House with an emphasis on the kitchens and chefs, "Wish You Were Here," a private collection of postcards depicting African-Americans and food which has never before been displayed, and more. The museum will feature a gift shop called the SoFAB store and a Tasting Room where tastings related to exhibits will be held. The Tasting Room will also lend itself to demonstrations, lectures, books signings and other special events. Whole Foods Market will attempt a world record by breaking open hundreds of wheels of hand-selected aged Parmigiano Reggiano in all of its stores at the same time to honor the tradition and celebration of this iconic cheese. Stores in the south region, including the one in Mountain Brook, plan to celebrate the "Crack Heard Around the World" with wine and cheese pairings that will make a cheese lovers swoon.By attempting to set a world record for "cracking open" wheels all of its 270 stores simultaneously, Whole Foods Market will try a feat worthy of the Guinness Book of World Records and may just go down in cheese history. Saturday, April 12 at 2 p.m. (Central) is the official start time for the "cracking open" ceremonies, when Whole Foods Market cheesemongers will demonstrate the traditional method of breaking into 24-month-aged wheels of Parmigiano Reggiano in the Company's cheese department worldwide using official tools (five different knives) from Italy's Consorzio del Formaggio Parmigiano Reggiano. The entire process of carving into and portioning each 85 pound wheel will take approximately half an hour and is truly a sight to behold. "It will be the 'crack heard around the world' as we 'break open happiness' in our stores," said Maggie Largente, Regional Cheese Buyer for Whole Foods Market's south region. "Each year, we hand select the very best Parmigiano Reggiano from Italy and are excited to share this crown jewel of cheese by offering tastings, pairing suggestions and recipe ideas to our shoppers, whether they are rediscovering one of their old favorites or are just getting acquainted with this amazing product." Crafted using a tradition dating back almost 800 years, each wheel is carefully aged and cared for and is an expression of its cheese maker's dedication. Parmigiano Reggiano has been made for centuries in one area of Northern Italy comprising Reggio Emilia, Parma, Modena and portions of Bologna and Mantua. Only in these regions are the conditions ideal to produce Parmigiano Reggiano. After one year of aging, each wheel that passes the test is branded with a unique proof of authenticity, an oval certification mark, and left to finish aging. That seal guarantees that the cheese was made under the regulations of the Consorzio del Formaggio Parmigiano Reggiano and conforms to its stringent standards of quality. Parmigiano Reggiano is wonderful when served alone or paired with other flavors that highlight its subtle bite and sweet nuttiness. Pairing ideas, along with recipes, will be on hand at the south region's Whole Foods Market stores during the ceremony. Wines from Italy will be featured in stores during April. A classic pairing for Parmigiano Reggiano is a Chianti such as the Frescobaldi Castiglione Chianti, in which the clean aromas of black cherry over nuances of dried plum and spicy sage strike a harmonious balance. The Sicilian Regaleali Nero d' Avola is one of the first of its kind to hit the U.S. and is not only tasty but a great value, too. Ripe and juicy, the Pirovano Barbera is a delicious complement to red-sauced pasta with shaved Parmigiano Reggiano. On a sunny day around the picnic table, the conversation turned 'round to favorite foods, Top 5 foods and finally settled on foods that you'd eat before your execution. As in, Your Last Meal. Condemned Diner No. 1: Coleslaw, a jar of marshmallow creme ... and I kind of blacked out after the mention of marshmallow creme, but her list ended with meatballs. Condemned Diner No. 2: Steak. Condemned Diner No. 3: A really good pan of lasagna. Top 5 food selections were a little more varied, ranging from the aforementioned coleslaw, lasagna and steak to .... banana LaffyTaffy. If you've checked your paper today, Winn-Dixie has a monster sale on chicken. That's different than a sale on monster chicken, mind you. Wings, thighs, drumsticks, breasts (boneless and split), as well as whole chicken are on sale for 40 percent off the regular price. 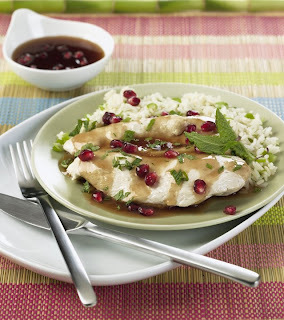 Now's the time to stock up the freezer on a poultrypalooza. FoodMax has leg quarters on sale. Here's some ideas of what to do with it. 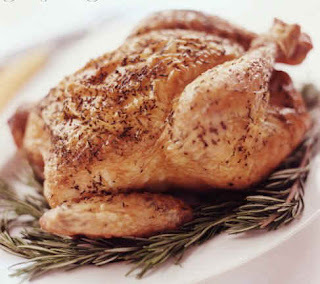 There are more chicken recipes on the blog, too, under "What's Cooking Tonight." Rosemary has just finished blooming, which means it's at its most flavorful. Get a few sprigs and roast a whole chicken. You're going to play the role of "rotisserie" with this bird, but your patience will be rewarded. Rinse the chicken and pat it dry. Preheat the oven to 475 (yes, 475). Trust us. In a roasting pan, make a "bed" for your chicken by layering the whole carrots, onion slices and celery ribs. You're basically going to make your own roasting rack with these vegetables. They'll also flavor your chicken, as well as keeping the bottom of it from getting soggy. Stuff the chicken cavity with the whole garlic head, the rosemary and the lemon. Rub the outside with the vegetable oil, then sprinkle with the pepper and Season All. If your celery and carrots came with the tops/leaves still on, rinse those and stuff them in the bird, too. Put the chicken BREAST SIDE DOWN on the vegetables. Put the pan in the oven and roast at 475 for 20 minutes. Flip the chicken to BREAST SIDE UP, lower your oven temperature to 350. Let the chicken cook for another 40 minutes or so, until a meat thermometer inserted in the thickest part of the thigh registers 160 degrees. Remove the chicken from the oven, cover it with a double layer of aluminum foil and let it rest for at least 10 minutes before carving. The chicken will continue cooking even after it's removed from the oven. It will hit around 170 degrees during the 10-15 minutes it rests. If you don't have a meat thermometer, err on the side of longer cooking time of 45 to 50 minutes. Slice chicken into ¾-inch strips horizontally across the breast. Set aside. In food processor or blender, combine all ingredients for lemongrass dressing; pulse until smooth. Set aside. In large saucepan or deep fryer, place oil and heat oil to 350 F.
In large mixing bowl, combine all ingredients for tempura batter. Dip each piece of chicken into batter, allowing excess to drip off. 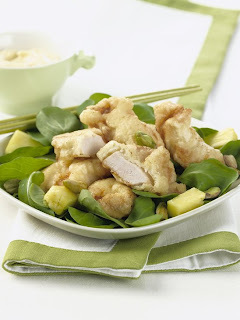 Gently lower battered chicken into hot oil and fry for 2 ½ - 3 minutes, turning once during cooking. Chicken will need to be cooked in a few batches, as pieces should not touch. (Chicken will not brown; it will remain a pale tan color.) Remove chicken to paper towels to drain. In large serving bowl, place salad green, pineapple pieces and pistachios. Add dressing and toss well to coat. Place chicken over greens and sprinkle with toasted pistachios. In a gallon-size plastic bag with zip top closure, combine all ingredients for spice mix. Seal and shake well to blend. Make Orange Hoisin Sauce by combining in small saucepan over medium-high heat hoisin sauce, orange juice concentrate, sesame seed oil, rice vinegar and chili powder. Bring to a boil, reduce heat to low, and simmer for five minute. Remove from heat; stir in zest and cilantro. Cover and set aside. In a deep saucepan or stockpot, add oil and heat to 350 F. While oil is heating, add chicken wings to plastic bag with spice mixture. Shake until all wings are coated. 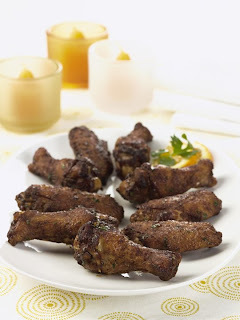 Remove wings from bag, place in pot and fry, in batches, for 6 – 8 minutes, or until skin is crispy. Remove wings from oil and place on paper towels to drain. After final batch of wings is cooked, place wings in large mixing bowl. Pour Orange Hoisin Sauce over wings; toss well to coat. A just-released cookbook highlights recipes from the Middle East and Mediterranean regions that are made from ingredients readily available to American home cooks. Great cooking stems from experimenting with readily available fresh foods, herbs, and spices — the kind of ingredients home cooks can find in supermarkets across the country. “I believe it’s all about convenience and innovation. That’s the philosophy I have included in every page of my cookbook,” says Zov Karamardian, nationally recognized chef and restaurateur. 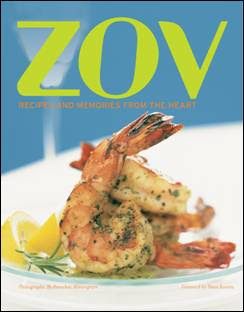 Her cookbook, ZOV: RECIPES AND MEMORIES FROM THE HEART (Pub March 2005; second printing March 2008; $35.00/hardcover; ISBN: 0-9759558-0-2), has just gone into its second printing. Blending contemporary Mediterranean and Middle Eastern cuisines and cultures, this unique collection of over 100 recipes, was inspired by Karamardian’s favorite family recipes, her extensive world travel, and the people with whom she has had the pleasure of cooking and eating. Each chapter begins with a short story about Karamardian’s culinary inspiration — from Syria in 1955 to Beirut in 1959 to Morocco and Vietnam in the last decade — including memories of her Armenian grandmother and other teachers from around the world. 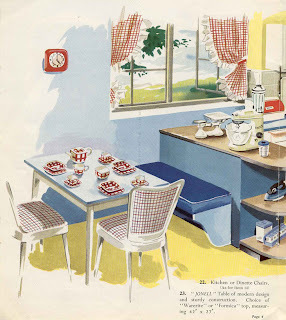 Beautiful color photos illustrate finished recipes. Karamardian has also provided a chapter on cooking techniques and pantry ingredients, making ZOV: RECIPES AND MEMORIES FROM THE HEART an informative and easy-to-use cookbook. Karamardian is the chef/owner of Zov’s Café/Bakery in Newport Coast and Irvine, Calif., as well as her flagship restaurant, Zov’s Bistro in Tustin, Calif.
She received an Angel Award by the James Beard Foundation, and she also accepted the distinguished honor of serving as guest chef at the esteemed James Beard House in New York. Her recipes have been featured in Bon Appetit, Food & Wine, Sunset Magazine, Orange County Register and The Los Angeles Times. You can learn more about Zov on her website. Frugal feasting is the theme for this week's food section in The Anniston Star. We've got classic cornbread and biscuit recipes from Prudence Hilburn. Both pair nicely with our centerpiece attraction: beans. How to use them, how to adapt them to your own taste. Dried beans are the mystery section of the grocery. People have walked past them for years, but most people under the age of 50 aren't sure what to do with them. The answer: Pretty much anything you want. 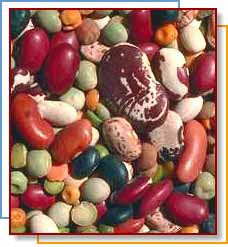 We explore the different types of beans available, as well as the best ways to cook a simple, basic side dish. This past week, with the children on a long Easter break, I fired up the Crock-pots and cooked about six different kinds of beans to bag for the freezer. There were soups, mixed in with some baked dishes, casseroles and simply some pints of beans frozen to use as side dishes. Of course, by the time the weekend was over, the family was tired of seeing the Crock-pot refugee city on the counter, but the savings is phenomenal. It's gotten to the point that the children won't eat beans from a can anymore. And, since I can make a few quarts of beans for what one can would cost, I'm OK with that. Over the next few weeks, we're going to pass along ideas for saving money ... and rediscovering those sections of the grocery we'd all mostly avoided during more lucrative times. If there was ever a sign that the economy -- especially the consumer portion of it -- was in a tailspin, it's this news reported earlier this week: More Americans ate food at or from home in 2006 than in any year since 2001. While that may not seem like a significant timespan, keep in mind that this comes in the midst of the agribusiness and restaurant industry declaring The Death Knell for home-prepared food. I've always been a proponent that numbers fueling the "eating out craze" have been hopped up a bit by the industry. More money may be being spent at restaurants, but I've always wondered if that spike was due to more meals being bought by the same groups of people who were the first to kick home-cooked food to the curb. Most of my friends, church colleagues, their friends, classmates' parents, eat almost every meal at home. Most take their lunch to work, and I've always wondered who these legion of dine-out moguls were. Now, it seems, even die-hard drive-thru junkies are starting to rediscover their refrigerators. While this is bad news for our restaurant brethren, it means more people have the chance to cook some good food for the people they love. 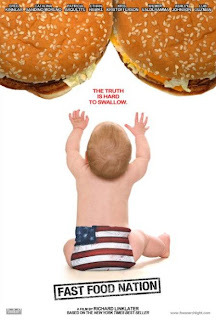 It can also be your part to reverse the trends, habits and ailments exposed through the documentary, Fast Food Nation. Cooking at home doesn't have to be hard. It doesn't have to take a long time. That's where soup, salads and sandwiches come in handy. And if you don't have a Crock-pot... get one. The financial savings of eating food at (or from) home cannot be debated. Even a fast-food combo meal is going to run $6 for an adult, by the time tax is included. Those "value" menu items And don't forget gas burned idling at the drive-thru. Just two adult wage-earners eating lunch out every day will drop $70 a week in fast-food lunches. If they then buy take-out for their families for dinner.... that can run up to $20 per night, if you pick a cheap fast-food joint. Those numbers do not add up. They never have. Apparently, a flagging economy is starting to show Americans that truth in harsh reality. You know you'll have 'em: Leftovers from this weekend. Here are some tips for working your way through a mountain of ham. Heat oven to 375 F. Combine soup and milk in 2-quart shallow casserole dish. Stir in pasta, 1 cup cheese, 1 cup French Fried Onions, ham, tomatoes and peas. Bake, uncovered, 30 minutes or until hot. Stir. Top with remaining cheese and onions. Bake 3 minutes until cheese melts and onions are golden. Leftover potatoes can make a great shepherd’s pie. Preheat oven to 375. Cook meat in large oven-proof skillet until browned: drain. Stir in one cup Fried Onions, soup water and Italian seasoning. Season to taste with salt and pepper. Spoon vegetables over beef mixture. Top with mashed potatoes. Bake for 20 minutes or until hot. Sprinkle with remaining French Fried Onions. Bake 2 minutes or until golden brown. Extra mashed potatoes can create a delicious creamy dish! Preheat oven to 350. Combine mashed potatoes, sour cream, mild and garlic powder. Spoon half of mixture into 2-quart casserole. Sprinkle with 2/3 cup ® French Fried Onions and ½ cup cheese. Top with remaining potato mixture. Bake 30 minutes or until hot. Top with remaining 2/3 cup ® French Fried Onions and ½ cup cheese. Bake 5 minutes or until onions are golden. Grilled up some hamburgers on the back patio at The Star Thursday. They were super lean, which means they plump a whole bunch when you cook them. A note: bigger but thinner patties at the start will yield a more uniform burger at the end. In all, very nice. Flavor was good, and they were quite juicy -- even after they'd been in the warmer for an hour. So, we've got some Talladega-grown, grass-fed, all-natural beef coming for the burgers. This stuff is super lean, super-local. We'll let you know how it grills up. Grilling season is upon us, and where there’s fire, there’s smoke. This year, the trend in grilling is to get a little fruity. Fischer & Wieser Specialty Foods has a new line of sauces, marinades and accoutrements to put some fresh flavor into grilling. Among them: Original Roasted Raspberry Chipotle Sauce, Pomegranate & Mango Chipotle Sauce, Southern Style BBQ and Plum Chipotle BBQ Sauce. 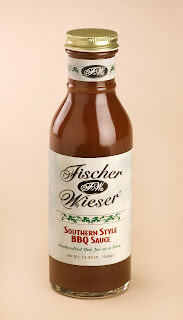 Fischer & Wieser has more than a hundred cooking sauces, mustards, jams, jellies, preserves, salsas, salad dressings, dessert sauces, barbecue sauces, ketchups and marmalades. A catalog of gourmet gift collections may be ordered by calling toll free at 800-369-9247 or by sending an e-mail request to info@jelly.com. When the husband’s away the wife will….. NOT COOK! When hubby is out of town I usually eat things I wouldn’t normally prepare when he’s home. I bring out the cereal and sometimes I’ll just eat cinnamon toast or cheese toast or bring out the frozen dinners. Other times I’ll grab a salad at a local restaurant. I like to keep the kitchen clean so it’s kinda fun to think up things that won’t make too big of a mess. Now there are times I’ll get in the kitchen and bake up some sweets since hubby is not that fond of sweets (except for me). Geeze… what a mess I make when I do the sweet baking. How fun it is to eat later on. YUM!! When my other half is out of town I think it helps me appreciate when he returns home and I start back cooking my regular meals. Even though he eats at nice restaurants while out of town, he says he loves to get back to my home cooking. Lets see…. What are we having tonight? Cereal or toast? Tuesday is probably the worst day of the work week. I know all the jokes about Monday, but in my book people are ready for Monday, they know it's coming, so they deal with it. Wednesday? That's hump day, by dinner time you can almost see the weekend. Thursday? Just one more day and you're off work. Plus all the good (if you can call it that) network TV shows are on Thursday. Friday is just friday, no further explanation. And since it was almost 7 pm and we were hungry it was a dine out night. We cruised down to Logan's Roadhouse in Oxford. I thought 7 pm on a Tuesday the place wouldn't be that busy. Shows what I know, the parking lot was almost full. Two full meals for $12.99. If you don't eat out a lot, trust me that's a great deal. We both got the six ounce sirloin, salads, rolls and a side all for the price of one regualr entree. The deal runs all day Monday and Tuesday each week. There's more than steak too -- Tilapia, Salmon, Meatloaf, Pork Chop and Chicken. I was impressed. The steak was cooked just right and juicy, their yeast rolls with sweet butter are almost their own dessert. Plus you can throw peanuts on the floor. What more could you ask for? An interesting conversation came about during our last trip to the grocery (our bill for one month -- excluding buying restocks on perishables like milk and eggs through the month -- $284 for a family of four) wandered past the seafood counter. "But catfish doesn't live in the sea." The 8-year-old, who is convinced shrimp are manna from heaven, had a good point. "Seafood" means many things to many people. I'm always amused at how catfish restaurants advertise themselves as having "seafood" on their signs or in their advertisements. 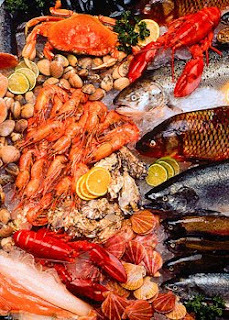 A few of the warring definitions of seafood in the foodie universe include one group that considers only shellfish "seafood." I'm not quite sure where they think halibut and cod -- that versatile powerhouse of fish -- come from, if not a sea. Another set thinks it can be expanded to any critter that comes from a sea/ocean environment: halibut, lobsters, etc. I confess, I'm in that camp. Catfish is not seafood. It's great stuff, mind you, but trying to gussy up this Southern classic by calling it "seafood" is not only pretentious, it's wrong. The broadest definition includes the one that prevails around much of the U.S. that doesn't live on a coast: anything that comes from water. Not sure where that puts tilapia (right) -- a farm-raised and developed fish that doesn't have a lot of distinctive flavor, a characteristic that makes it popular with American diners. It's second only to salmon, depending on which restaurant poll you're looking at. Walk around the French Quarter in New Orleans, and it’s impossible not to note the name Brennan and its meaning to the city’s restaurant culture. There’s the Red Fish Grill, moderately priced and approachable. Dickie Brennan has a steakhouse, and BACCO and Ralph’s on the Park have become standards. Anchoring them all is the classically pink Brennan’s – the original concept on Royal. 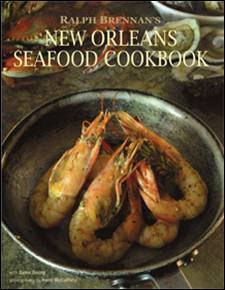 With this history comes Ralph Brennan’s New Orleans Seafood Cookbook (Vissi d’Arte Books; April 2008; hardcover/$45.00). There are classics of Louisiana brought about by this third-generation Brennan: Seafood gumbo, a shrimp remoulade, trout Amandine, Crawfish Ravioli and crabmeat lasagna. 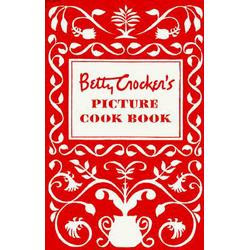 The recipes are enhanced by “A Seafood Cook’s Manual,” a guide to Gulf seafood covering everything from finfish, crabs, crawfish, shrimp, oysters, frog legs and ’gator. 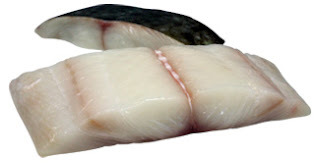 There are tips and advice, and illustrated step-by-step instructions, on handling, storing, and preparing raw seafood. A complete list of premier local and national vendors of seafood, spices, condiments, and cocktails is included to provide home chefs with the key ingredients needed to create the authentic flavors and tastes of New Orleans. The title of this recipe comes from the cooking method, which calls for grilling only on one side, with the scales and skin side down. The benefits are increased succulence and flavor. Baking or broiling does not achieve the same results, since the heat source must come from the bottom. Hickory chips will impart sweetness, although mesquite and other woods suitable for grilling can be substituted. Soaking the hickory will increase the smoky flavor. Place the fillets skin down on a work surface. Make sure the skinless sides are free of any loose scales. Brush the skinless sides with salad oil, and season each fillet evenly on the skinless side with 1/2 teaspoon Creole seasoning. Once all the fillets are cooked, serve immediately, skin side down on heated dinner plates. Top the fillets with rounds of mâitre d’hôtel butter, using a total of 1 to 1-1/2 tablespoons of butter for each serving. In its classic French version, beurre maître d’hôtel contains simply butter, chopped parsley and lemon juice. But many New Orleans cooks like to add a few personal touches, such as garlic, thyme, shallots and even Herbsaint, the anisette liqueur that originated in the city. The tried and true green bean casserole gets a new twist this Easter. Still as simple as ever, this is a classic that needed an update. Prep Time:10 min. Bake Time:30 min. MIX soup, milk, 2/3 cup French Fried Onions, 2/3 cup cheese and broccoli in 1 1/2-qt. baking dish. BAKE at 350 for 30 min. or until hot. Stir. TOP with remaining cheese and onions. Bake 5 min. Tip: Use 1 bunch broccoli, cut up and cooked or 16 oz. pkg. frozen broccoli cuts. Prep Time: 10 min. Cook Time: 25 min. COMBINE peppers and onions, and corn in a 1 1/2 qt. microwave-safe casserole. Cover. Microwave on High for 8 min., stirring once halfway through cooking. Drain well. STIR in soup, milk, Frank's RedHot Sauce, 1/3 cup cheese and 2/3 cup French Fried Onions. Sprinkle with remaining cheese and onions. BAKE at 350 for 25 min. or until hot. Tip: Stir in 2 cups shredded cooked chicken for a main dish meal. Or, if you can’t live without the original…. Prep Time: 5 min. Cook Time: 35 min. MIX soup, milk and pepper in a 1 1/2 -qt. baking dish. Stir in beans and 2/3 cup French Fried Onions. BAKE at 350 for 30 min. or until hot. STIR. Top with remaining 2/3 cup onions. Bake 5 min. until onions are golden. I took off Friday and Monday to surprise my little sister in Rogers, Ark. on her 16th birthday. Sunday, while she shopped with the new gift cards she'd nabbed, I went to a brew pub in Fayetteville to watch the Georgia-Arkansas game with my parents. But the sweetly unexpected Bulldog victory and some refreshing beers countered the evil stares from the bar. Because I was in a college town I could enjoy a beer on Sunday while watching the game at Hog Haus Brewing Co. I had a sampler of six beers, some pale ales, stouts and wheat beers that went down smooth with a UGA victory. The best-tasting brew was a nice wheat beer brewed with blueberries, a great spring seasonal. The worst beer I've ever tasted was a Jack Daniels and raspberry stout, which reminded me of cheap cough syrup. I'll give the brew master credit for creativity, but a 3 oz. sample was all I'll ever need of that beer. And since I'd already had lunch (not much to speak of, some quick Chinese at the mall). I snacked on a lightly fried calamari. The calamari was impressive, just the right about of batter. An Arkansas brew-pub that knows how to make a decent calamari? Trust me I was surprised too. I recommend the place. For all of you Alabama and Auburn fans that may make the trek to Fayetteville in the next season or two, the Hog Haus Brewing Co. is a welcome rest stop, the likes of which you won't find many in Alabama. Feel free to post about some restaurants you've enjoyed (or not) on your travels. A good restaurant tip will save a traveler from the chain-restaurant nightmare that is mainstream American travel. As a child, I thought iceberg lettuce was the coolest thing on earth. It was misty green, round and neat. Most important, it came from a store. To my thinking, anything wrapped in plastic and bought from the store must SURELY be better than those rows and rows of lettuce growing in our common, old, dirty garden. Who needed four different kinds of bibb lettuce? Or an entire row of oak leaf -- both the red and green? All I knew was it was a pain to go out every night and truly have your pick of lettuce. 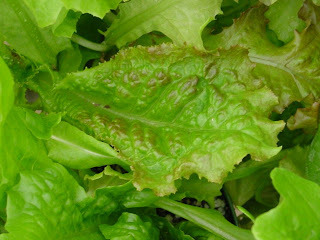 We ate salad every night until summer's heat chased the home-grown greens away. And then the iceberg came to the table on a semi-weekly basis for the rest of the year. It wasn't until I actually started paying attention to my taste buds -- and got away from home-grown salad greens -- that I realized iceberg lettuce actually has less taste than a piece of ice. Yeah, you can cleave the big green ball in two, but surely there are better things to do with our food dollar than spend it on water and cellulose and no other flavor. In Wednesday's Your Table, the highlight is on salads, with nary a leaf of iceberg lettuce in sight. We'll help you sort out what all that green stuff is in the produce section. We'll also pass along some quick, simple dressings worthy of those greens. In addition, we'll have Pitcher This by Ben Cunningham, who'll describe the "perfect pour." Pat Kettles in Uncorked gives you wine suggestions to serve with your Easter meal, and Prudence Hilburn's Gourmet Touch has a braided egg and cheese concoction perfect for a brunch. An interesting thing to try. It was easy enough to make but lacked any exciting flavor. My loaves had a nice hard outer crust and tender bread on the inside. Fresh from the oven and buttered, it was tasty. Laura gave me some ideas I could do with spices that sound like it may be the trick to making this bread have a little more flavor. Give it a try and let me know how it turns out. In a large bowl, mix yeast and salt into water. Stir in flour all at once, mixing with a wooden spoon until there are no dry patches. Dough will be quite loose. Cover, but not airtight. Let dough rise at room temperature 2 hours (or up to 5 hours). Sprinkle a little flour on the dough and cut off a quarter of it with a serrated knife. Turn dough in hands to lightly stretch surface, creating a rounded top and a lumpy bottom. Set dough on a lined or cornmeal-dusted pizza peel; let rest 40 minutes (see tips). Repeat with remaining dough or refrigerate it for as long as two weeks. Place broiler pan on bottom of oven. Place baking (pizza) stone on middle rack and turn oven to 450 degrees; heat stone at that temperature for 20 minutes. Dust dough rounds with flour, and slash tops of each with serrated knife three times. Slide onto hot stone. Pour 1 cup of hot water into broiler pan and shut oven quickly to trap steam. Bake until well browned, about 30 minutes. Bread-pan variation: If you don't have a baking stone, form each stretched round of dough into an oval and place in a greased, nonstick loaf pan. Let it rest 40 minutes if fresh, an extra hour if refrigerated. Heat oven to 450 degrees for 5 minutes. Place pan on middle rack and bake as directed above. Cool breads completely on a rack. Makes 4 (1-pound) round loaves, 8-10 slices each. -- Adapted from Artisan Bread in Five Minutes a Day by Jeff Hertzberg and Zoe FranCois. Granddaughter and I made these together recently and it was so much fun and tasted great! (She makes little notes in my recipes books when she helps to create a dish.) ENJOY! Mix flour and sugar. Melt butter. Add all ingredients and mix well. Bake at 350° for 20 to 25 minutes in two 9x13 pans. Let cool. Mix together and pour over cooled cakes. Let harden and cut into squares. I had Monday and Tuesday off. You know what that means? It means I'm still eating left overs from grilling and smoking. I made decent ribs Monday and amazing steaks Sunday. For the steaks I soaked them in apple juice for two hours, then used Durkee Steak Dust and Lawry's Steak and Chop, with a sprinkle or Montreal Steak seasoning. Don't worry, it wasn't as loaded as it sounds--you could still taste the meat. I used two USDA Choice top sirloins and after searing them on the hot side of the grill and then cooking them on the slow side, the turned out marvelous. The apple juice really makes a difference when it comes to tenderizing the meat. I tried smoking two potatoes but that didn't work. They were in there for over an hour and still way too hard. (Has anyone done this?) All in all it was a success. I would have liked more seasoning on my ribs though. Oh, and I still love my chimney starter. The folks at French's have a few suggestions for those classic fried onions in a can. Here are some super easy dishes that will make a classy Easter brunch -- or weeknight dinner. Heat oven to 350. In medium bowl, combine eggs, corn, chilies, sour cream, flour, 1/2 cup cheese, 1/4 cup picante sauce, 2/3 cup fried onions and chili powder; mix well. Pour into greased deep-dish 9-inch pie plate or quiche dish. Bake, covered, 35 minutes or until knife inserted in center comes out clean. Pour remaining picante sauce around edge of dish. Top with remaining cheese and onions. Bake 5 minutes until onions are golden. BAKE at 350°F for 25 min. or until hot. CRUSH Fried Onions in plastic bag. DIP chicken into egg. Coat in onion crumbs. BAKE at 400 for 20 min. until no longer pink in center. Heat oven to 400ºF. Place French Fried Onions and coconut into plastic bag. Lightly crush with hands or with rolling pin; shake to combine. Dip shrimp into egg whites; then coat with onion mixture, pressing firmly to adhere. Place shrimp on baking pan. Bake 10 minutes until shrimp are fully cooked and crispy. Local herb merchant Cindy Martin reports that the cilantro is thriving in this cool weather. Who knew that an herb known for accompanying Mexican dishes had such a cold nature? Anyway, if you're itchin' to get in the garden, some of the local plant outlets have a few pots of cilantro alongside the cabbage, cauliflower, broccoli and older early spring crops. Take adavantage of them now, because when May comes, they'll be done. Other things to look out for: It's still not to late to "layer" your rosemary. Rosemary spreads by older branches laying down and coming into contact with moist soil. Roots develop where that branch meets dirt, and by the end of the season, a new plant has formed. The easiest way to layer a rosemary plant is to get a large outside branch (still connected to the plant! ), bend it to the ground and bury it lightly with dirt. Pop a rock on top of it to keep firm contact between plant and soil. I've done this pretty much every other year for the past 15 years, and I've almost got a rosemary hedge in my back yard. It needs hot, dry, well-drained places. Then let it go. The flowers are beautiful this year, and ours was covered with honeybees this past weekend. The Star will begin a new food column called "Check, please" on March 25. I'll be writing about all things restaurant from fast food to fine dining. In my first column I've talked with some area high schoolers to find out where they're eating for prom choices range from steakhouse to sushi, some are heading to Birmingham. For the next installment I need your help. I want to find out which fast food restaurant has the longest drive-thru wait time. Now I'm not talking about a one-time bad experience, I need some consistent problems. My first nomination is the Arby's on Quintard Ave. in Anniston. Nearly every single time I hit that restaurant no matter what time of day or how many cars are lined up in front of me, I wait more than 10 minutes for a sandwich and drink. So let it rip and let me know what you want to hear about when dining out. It's a shame shaping a real country isn't as easy as making a cake. Yes, our Iraq cake has some crumbs, a few corners aren't as sharp as the political lines dividing Iraq. But, basically, this mixture of buttercream and red velvet goodness came together in a few steps, much assembly required. Two 9-by-13 red velvet cakes were used in the shaping of this nation (recipe follows). Originally, there were three colors of frosting, but we ended up going with simplicity and a basic desert tan copied from the shade of dessert (oops) desert camo the Army uses. The cakes were frozen (can't carve a spongy cake), carved individually using an outline of Iraq. The northeastern part of the country is pretty jagged, so those areas were rather intricate to carve. The southwestern border -- nice and smooth. The layers were then then stacked and frosted. The frosting was pretty thick, very buttery. About a quart of frosting was used for all the nooks and crannies. The result: Iraq. In the finished picture, the southern tip of Iraq is pointed to the right. Cream shortening; beat in sugar gradually. Add eggs, one at a time; beat well after each addition. Make paste of cocoa and food coloring; add to creamed mixture. Add salt, flour and vanilla alternately with buttermilk, beating well after each addition. Sprinkle soda over vinegar; pour vinegar over batter. Stir until thoroughly mixed. Bake in 3 8-inch pans or 2 9-inch pans for 30 minutes at 350. In large bowl, beat together sugar, butter, vanilla and milk until smooth. If necessary add more milk until frosting is spreading consistency. If desired, add a few drops of food coloring. Mix everything well. Chocolate buttercream frosting - add 1/2 cup cocoa powder. In a pickle for snappy snacks? The folks at Vlasic have a new lineup of suggestions for pickles. Recipes are simple, if not super elegant, and children will love them. Directions:Skewer 1 cheese cube, 1 pickle cube, and 1 meat cube with a toothpick. Repeat with remaining cheese, pickles and meat. Serve with honey mustard dressing for dipping. Makes 10 appetizers. Directions: Warm tortillas according to package directions. Spread 1 tablespoon mustard on each tortilla. Divide meat, cheese, and pickles between tortillas. Tightly roll up each tortilla. Cut each roll into 3 pieces. Makes 6 snacks. Directions: Preheat oven to 400°F. Spray one side of bread with vegetable cooking spray. Place sprayed side down onto cookie sheet. Top each with 1 slice ham, 1 half pickle and 1 slice cheese. Bake for 5 minutes or until cheese is melted. Serves 2. Directions: Heat oil (Dutch oven) to 375°F. Batter, stir in ¾ cup flour and peppers – stir in beer. Place remaining ½ cup of flour in small bowl. Coat the pickle chunks in flour – then dip into beer batter. Fry snack chunks a few minutes in the hot oil (a few at a time) until golden brown. Place on paper towel to drain. New to the cook book ranks: Ellen Haas has written Fast and Fit (Hatherleigh Press): healthy, well-balanced meals that fit into your overworked schedule and busy lifestyle. The book takes a holistic approach to weight management, weight loss and overall healthy eating. Fast and Fit offers menus, personal menu planners, shopping lists and recipes. Here’s a basic pasta dish with a slight 401 calories. Bring a large pot of salted water to a boil. Add the fettuccine and cook until al dente. Meanwhile, heat the olive oil in a skillet over medium heat. Add the artichokes and tomatoes, season with salt and pepper and cook for 5 minutes. Add the garlic and cook for 1 more minute. Drain the fettuccine, reserving 1/2 cup of the cooking liquid. Return the fettuccine to the pot and toss with 1/2 of the Parmesan cheese and the reserved cooking liquid. Add the artichoke mixture and toss again. Divide the fettuccine among 4 warm bowls and garnish with the remaining Parmesan cheese and parsley. Serve immediately. I am the proud owner of a new round waffle maker. I found it on sale at Target this past weekend for $17.00. I have had my square waffle maker for years but have never been able to make the perfect waffle. I would either have too much batter and it would go everywhere or too little batter and the squares would not fill up. I got up last Sunday morning ready to make waffles with my new round waffle maker. On my first attempt, I followed the manufacturers directions using 3/4 cup of batter and it went everywhere. I went down to 1/2 cup and figured my waffle would have holes. To my surprise out came a beautiful, fluffy, golden brown waffle. I was so excited. I called my kids to the kitchen for breakfast and the ooooh's from them made my day. When I'm tired of the same-old-same-old things I cook on a regular basis, I'll remember that we love this dish. It's easy and always turns out great. Enjoy! Brown ground chuck and chopped onions together. Drain. Cook bacon extra crispy. Let cool. Crumble into the meat mixture. Add all ingredients to the meat mixture, stir well. Place in casserole dish that has been sprayed with non-stick cooking spray. Cook at 350° for 40-45 minutes. Great with some crusty bread! We usually get a lot of requests for this recipe, so it's moved off What's Cooking Tonight. This recipe hasn't changed much in the past 20 years, but it's always a hit. We cheat a bit by using a package of parcooked Spanish yellow rice. You could really speed things along and use leftover chicken, but here's how to start from scratch. 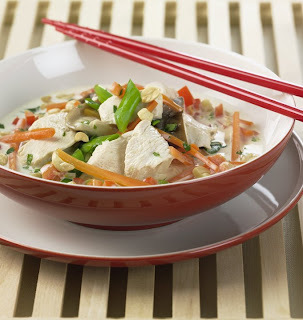 In a stock pot, add the chicken, onion, bell pepper and top with just enough water to cover. Simmer until done, an hour or so.Set the chicken aside to cool (you need to be able to pull the meat off the bones), and save the broth. Cook the rice according to package directions, using the broth in place of water. Put the chicken meat and rice in a 2-quart casserole dish.Make your sauce (in a sauce pan, oddly enough) by melting the butter, stirring in the flour and whisking over low heat. Add the milk and cook, whisking constantly, until it starts to thicken. Add the cheese. Pour this over your chicken and rice. Bake at 350 for 20 minutes.Some people top this with crumbled Ritz crackers or bread crumbs. If you use leftover chicken, make sure you've got a can of chicken broth handy to cook the rice. For the past few weeks, I've been dipping heavily into the stash of goods in the freezer. Much of it was the gains of a phenomenal meat sale at Winn-Dixie a few months back: A Buy One, Get One Free Bonanaza that's, sadly, coming to the end of its run. There were some casseroles, a few batches of pinto beans, baked beans, collard greens. All manner of soups and chili. Red beans and rice. Alas, it's gotten to the point that I can actually see the back wall of the freezer now. A few shelves are bare (except the bread shelf, and that's a rotating level of baked goods.) All of which means I'll have to schedule a Saturday cooking day, either this week or next week. Basically, I get out the Crock-pots (all three of them), fire up the oven and the soup pot and do as much cooking as I can in one day. Everything is then packed up, labeled -- that's important. You won't remember those pork chops and noodles two months from now -- then stowed in the freezer. Going into baseball season and long, sunny days, when the last thing I want to do after work every day is cook, my freezer stash is invaluable. The food will still be good. It'll still be homemade. The only difference is it will be reheating in the oven or microwave while I'm outside with the family, enjoying the sunshine.